Sometimes when the intention is right and the passion to create exists, magic happens. Such is the case with Lulu Designs. It began as an idea, a desire to create beauty in the world, and was started by Stacy King in 1997. Stacy graduated from San Francisco State in 1991 earning a degree in Fine Arts with an emphasis in ceramics. Working as a production potter for 10 years gave Stacy insight into the art of balancing form with color. As Stacy became interested in jewelry, her mastery of ceramics gave her unique tools for becoming a self-taught jeweler. Today, Lulu Designs is a team of talented artisans and bench jewelers that create the Lulu Designs and Luxe collection in Sausalito, California. Together, they create original castings of the finest, sustainably sourced metals, fitting them with precious gemstones and working to create forever jewelry – pieces to be passed down mother to daughter, throughout families, friendships, and generations. 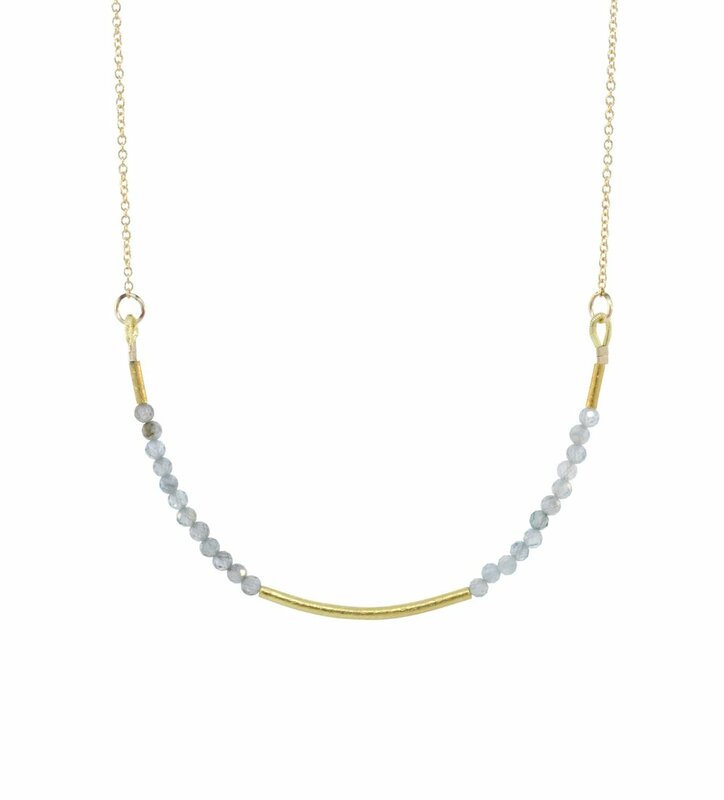 The esthetic is simple yet elegant, balancing color and shape and mixing metals and stones with Lulu Designs’ signature style – organic, sophisticated, beautiful. All of our necklaces, rings, bracelets, and cuffs are designed and handcrafted to let the life and power of each stone and metal to shine through. You'll find Lulu Designs pieces in fine stores nationwide.